The Jetboard Shop Barcelona is the first shop where you can try before your buy your electric surfboard or petrol powered surfboard. It opened in May 2018 and offers rentals as well. 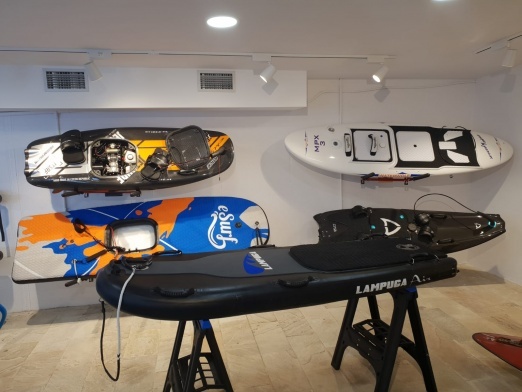 The Jetboard Shop Barcelona is part of the Jetboard Limited Group which is opening Shops in Spain, the UK, Germany, Brazil and other locations. 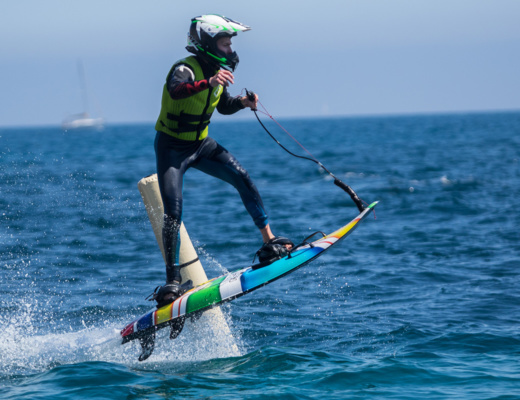 Thursday the 24th the All Star Jet Board Testing Tour team arrived in Barcelona. 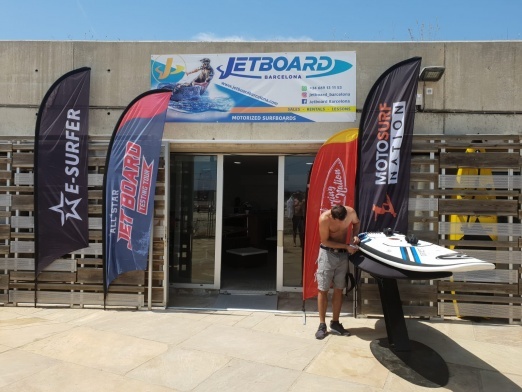 This was a great and monumental day because we had a chance to enjoy the first and only Jet Board shop in the world that is purely a Jet Board specialist shop. 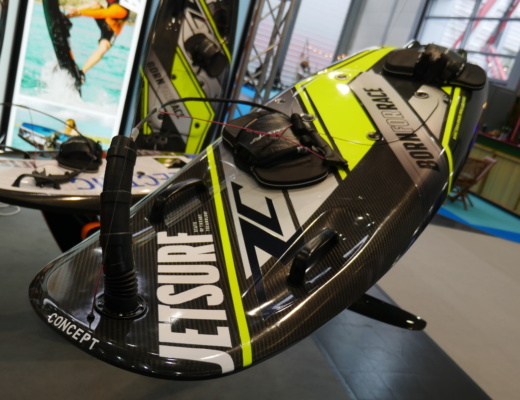 Jet Board Barcelona has most of the boards that are available and the boards are on display for visitors to view anytime. 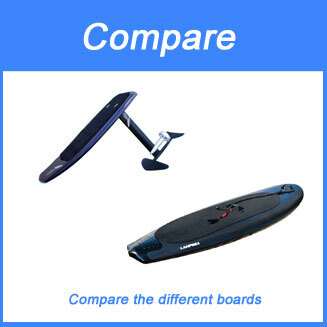 All boards are also available for testing and try before you buy. 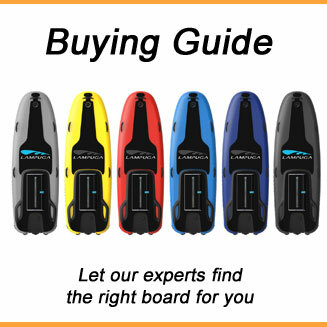 If you are not sure what board to buy or choose then pop over to Jet Board Barcelona and chat to the team. 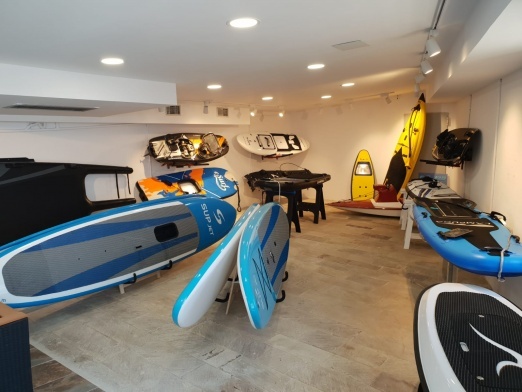 The Jet Board Barcelona shop is right on the water and it’s the new chosen base and headquarters for Jet Board Limited, E-surfer, Jetsurfingnation and Motosurfnation. 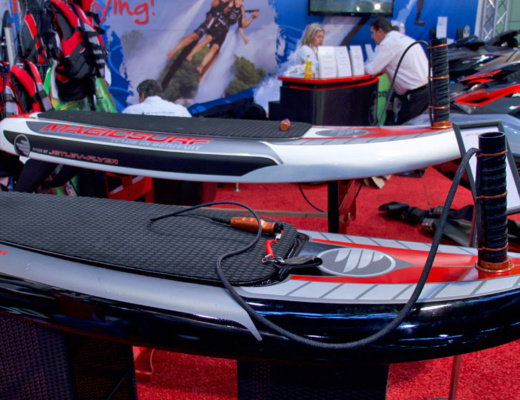 We plan on hosting a lot of Jet Board events for both electric and petrol Jetboards. 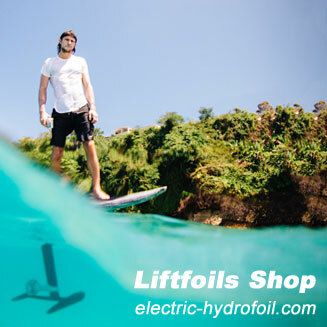 We are working with all manufactures and we will be hosting most of them at the Barcelona Shop over the summer. We will keep you all posted on dates and events. 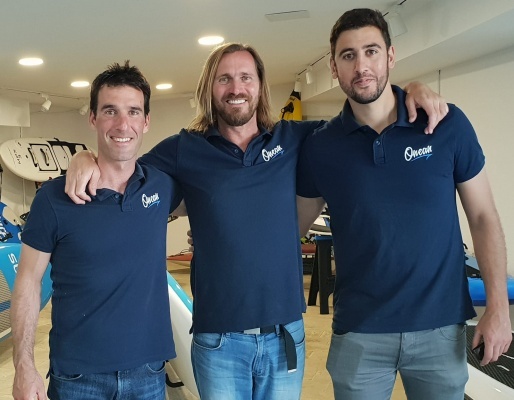 So far the first official visitors were Onean who were kind us to include Jet Board Limited, Jet Board Barcelona, Jetsurfingnation and E-surfer in some very new and exciting news. 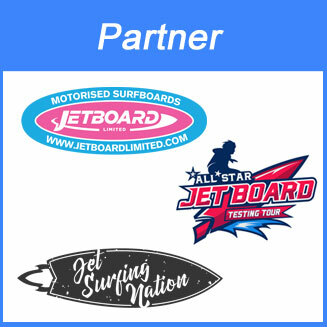 Onean have sworn us to secrecy so we can’t say to much but you don’t have long to wait until Onean, Jet Board Limited, Jetsurfingnation and E-Surfer all release what we believe to be the best and hotest news this summer. 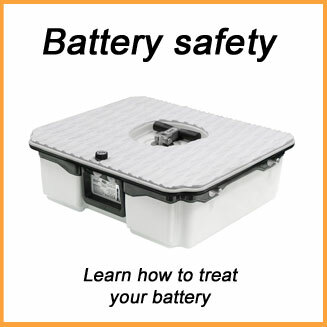 At the moment it’s the industries best kept secret but we can assure you it’s well worth the wait. 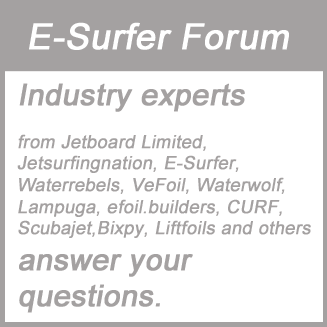 Be sure to keep watching this space as E-surfer are going to be releasing all the exciting details very soon. 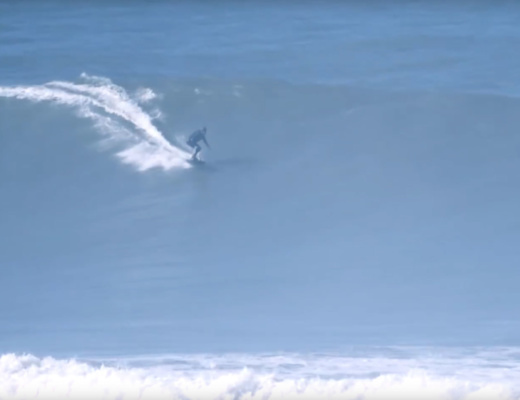 You won’t have long to wait but be sure to subscribe to E-surfer so that you are informed and kept up to date on all the latest and most exciting industry news.